Retirement can last 20-30 years, maybe even longer so you have to be prepared. The earlier you start saving into a pension the higher your income in retirement is likely to be. If you are working then you are usually building up the right to a basic state pension and possibly an additional state pension but these may not be enough to give you the standard of living you want. 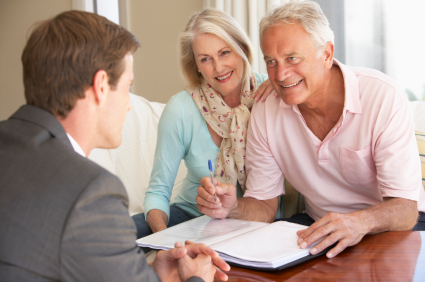 A personal arrangement can start providing you with an income from age 55. We can help you work out how much income you will need based on what you spend in today’s terms. We can then review your current arrangements and discuss the options to help you reduce the shortfall. Your fund will grow free of most taxes. When you take your pension benefits you can access up to 25% of the fund as a tax-free lump sum. The remainder of the fund can be withdrawn over time, this will be taxed as income. We can look at the options to consolidate all of your existing pensions there by making it easier for your retirement. We provide a service that will review your existing plans and provide you with an unbiased report detailing whether you should remain in your existing contract, alter your existing contract or transfer the pension into a more suitable plan. If you withdraw 25% of your pension fund, the income that you are able to secure is likely to be significantly lower.